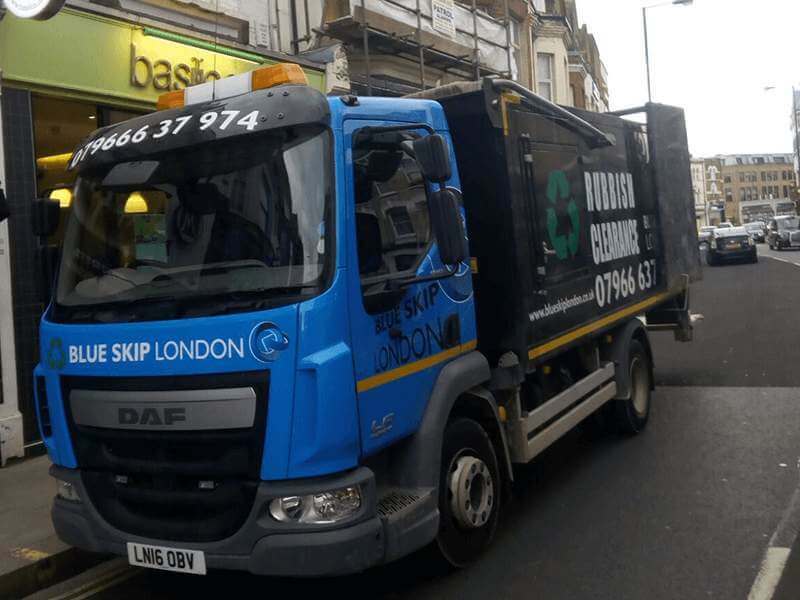 Blue Skip London offers its services to a number of clients located in many parts of London, including the West London borough of Ealing. If you live in that area, you can count on us to deliver all of our rubbish removal accordingly to your needs. You can hire skip lorries to help you dispose of any construction waste, wood, or regular rubbish in a variety of sizes, depending on the amount of waste you want to have cleared. We also offer access to a yard should you want to deliver the waste yourself. Additionally, you can also count on us to dispose of any problematic waste in a safe and swift manner. 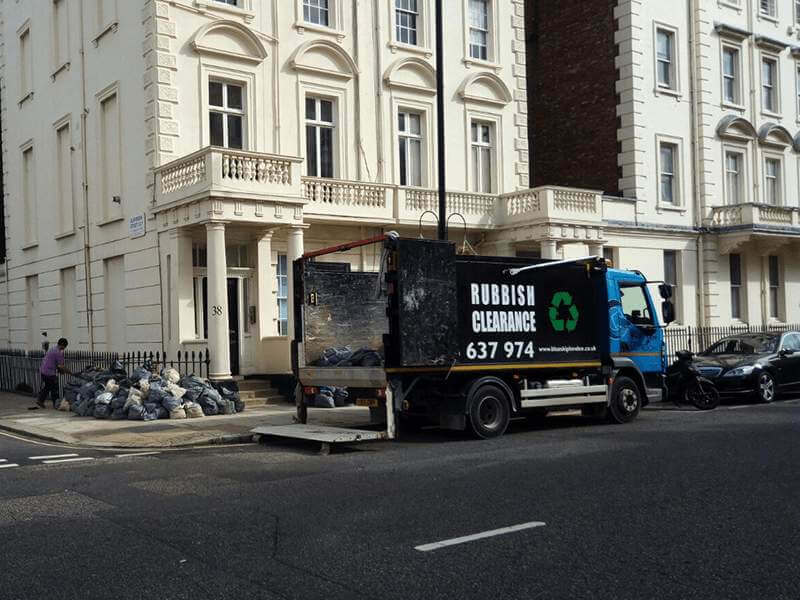 With Blue Skip London, you can count on some of the most reliable waste removal services in Ealing. And you can be sure this is true because we have all the necessary certificates to prove our worth. As a licensed Ealing Waste Carrier, we can offer you a level of service that few other companies can. As a waste removal company, we at Blue Skip always make it a priority to clean up your home or other venue in the most efficient way possible. If you’re located in Ealing and are looking for a reliable cleaning up service, you can be sure that you’ll receive the most thorough waste cleaning services you could ever expect. Located in West London, Ealing is one of the major metropolitan centres in the London Plan. In the past, it was a simple rural village in the county of Middlesex that acted as an ancient parish. Since 1838, when the railway station was opened, the development cause the area to grow substantially. Since London’s growth in the 20th century, Ealing has expanded in both population and area, making it one of the most prominent municipal boroughs today. 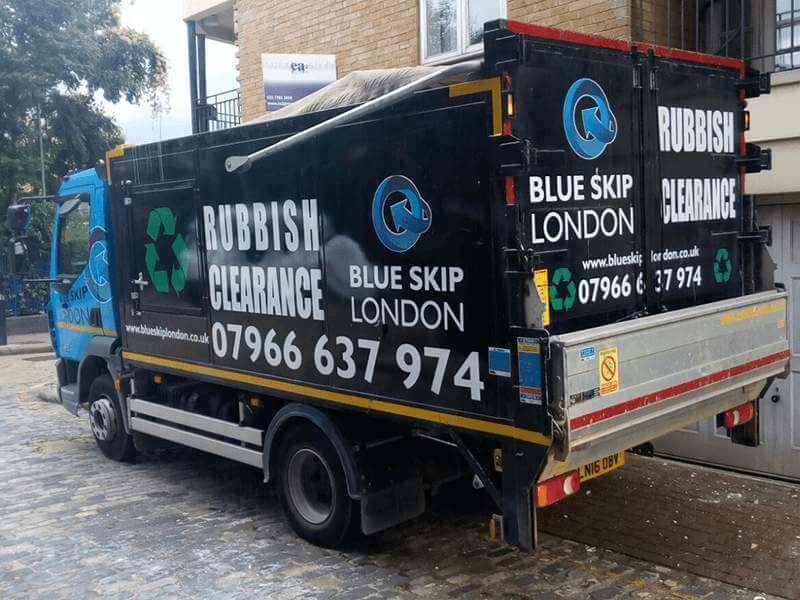 Blue Skip London is a waste removal company with an official Certificate of Registration under the Waste (England and Wales) Regulations issued by the Environment Agency. This is only a list of the most common items that we take if you have any questions feel free to email or phone us to check if we can take your rubbish. 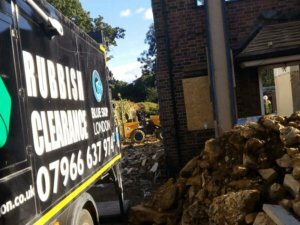 We couldn’t have asked for a better level of service than what we received from Blue Skip London! We were very happy with Blue Skip’s level of service. All the waste has been cleaned out and the team left behind no mess at all! Blue Skip did a fantastic job clearing away all our waste – we happily recommend them to anyone! What we can do for you in Ealing?